COLLINS, JOHN, surveyor and office-holder; d. 15 April 1795 at Quebec. The creation of the office of surveyor general of lands of the province of Quebec arose from the recognition by the British that they needed more and better geographical information about the country ceded to them in 1763. Samuel Jan Holland* was appointed to head the office in March 1764 and in the same month was commissioned surveyor general of the Northern District of North America. His authority extended as far south as Virginia and required his prolonged absence from Quebec. On 8 Sept. 1764 John Collins was therefore named deputy surveyor general of Quebec, and until 1779, when Holland took up his duties relating to the province on a full-time basis, he was responsible for the operation of the surveyor general’s office. Few details are known of Collins’ previous life, although some evidence suggests that he was a Quebec merchant at the time of his appointment. According to Holland he had been “imployed for many years as a deputy Surveyor in the Southern Colonys” and had been recommended by Governor Murray and others. Within months of receiving his commission Collins was busy fixing the boundary between Quebec and New York eastward from the St Lawrence River to Lake Champlain along the 45th parallel. In 1765 he also surveyed and set out lands for settlement on the harbours of the Gaspé and Baie des Chaleurs. In addition to his general survey work he prepared maps for the governor, made plans relating to property disputes, and drew up reports such as that on the use of the king’s wharf in Quebec. Between 1771 and 1773 Collins and Thomas Valentine, New York’s representative, continued the delimitation of the boundary between the two provinces. During the American revolution Collins remained at Quebec performing his surveying duties. With the end of hostilities, the government faced the enormous problem of the refugee loyalists. Land had to be surveyed and laid out in advance of settlement. On 11 Sept. 1783 Governor Haldimand directed Collins to go to Cataraqui (Kingston, Ont.) and proceed with this task. During 1783 Collins outlined the townships of Kingston, Ernestown, Fredericksburgh, and Adolphustown, one of the earliest surveys in present-day Ontario. 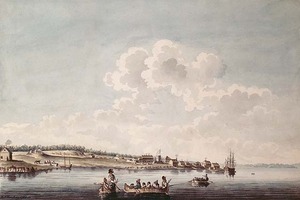 He continued to work in the upper St Lawrence area and in 1785 led a survey party charged with establishing a communication route between Cataraqui and Lake Huron. In May 1787, because of discord resulting from such matters as the distribution of land and the issue of rations, stores, and clothing, a board of inquiry was appointed to hear and examine the complaints of the loyalists and others in the western regions of the then province of Quebec. The board, consisting of Collins, Holland, William Dummer Powell*, and others, first dealt with grievances in the seigneury of Sorel. Collins and Powell subsequently conducted hearings in the Kingston area. Collins had also become involved in the political life of the colony. In January 1773 he was sworn in as a member of the Council. 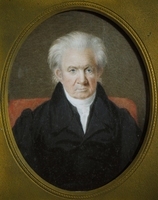 In 1775 he became a legislative councillor, a position he held for the duration of the Quebec Act and, under the Constitutional Act of 1791, until his death. 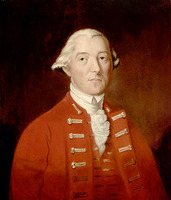 He was also one of the legislative councillors whom Sir Guy Carleton* chose in August 1776 to be his “board of privy council.” This group of trusted advisers to the governor continued its existence under Haldimand until 1782, although it was condemned as unconstitutional in 1779 by the British government. Collins served on such bodies of the Legislative Council as the committee on commerce and police and the land committee. He held general commissions of the peace for various places and received commissions of oyer and terminer for Quebec in 1788 and for Quebec and Montreal in 1791. After completing surveys in large unsettled areas Collins often petitioned for land; he thus acquired property on the harbour of Bonaventure, on the Baie des Chaleurs, on Bay Tonegeyon (Collins Bay, Ont. ), and in Hereford Township, Quebec. A dispute arose over the size and location of the Hereford grant; the matter occupied Collins during the last years of his life and was still unresolved when he died in 1795 at his house on Rue Saint-Louis in Quebec. Little is known of Collins’ personal life. 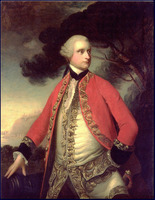 An active Freemason, he was Quebec provincial grand master from 1767 to 1785. 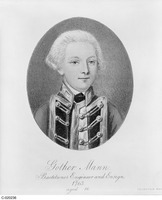 His wife Margaret died at Quebec on 24 Jan. 1770. They had at least one child, Mary, who married James Rankin, a surveyor. ANQ-Q, État civil, Anglicans, Cathedral of the Holy Trinity (Québec), 25 Jan. 1770. BL, Add. mss 21721, 21732, 21784, 21786, 21791, 21798, 21884. PAC, National Map coll., VI/300–1795; VI/325-Grand Rivière-1765; VI/325-Sorel-1790; VI/340-Gaspé-1765; VI/340-Paspébiac-1765; VI/340-Port Daniel-1765; F/350-Québec-1766; VI/409-Nassau-1790; H3/410-Ontario-1785; VI/1001–1774; H1/1100–1790; R/1100–1790; RG 1, E15, A, 1, 2, 11–13, 29; L3L, 1, p.144; 10, p.3201; 63, pp.31519–20, 31523–24; 163, p.79510; RG 4, A1, 32, pp.10656–75; 33, pp.10697–868; RG 68, 89, ff.1, 53, 81, 84; 91, ff.247, 250, 253, 260, 264, 267, 427, 446; 97, ff.100, 105, 110, 115. PRO, CO 42/32–33. Quebec Gazette, 16 April 1795. Joseph Desjardins, Guide parlementaire historique de la province de Québec, 1792 à 1902 (Québec, 1902). PAC, Catalogue of the National Map collection . . . (16v., Boston, Mass., 1976). Burt, Old prov. of Que. L. F. Gates, Land policies of Upper Canada (Toronto, 1968). D. W. Thomson, Men and meridians: the history of surveying and mapping in Canada (3v., Ottawa, 1966–69), I. F.-J. Audet, “Trois géographes canadiens,” Soc. de géographie de Québec, Bull. (Québec), XVIII (1924), 85–98. Willis Chipman, “The life and times of Major Samuel Holland, surveyor-general, 1764–1801,” OH, XXI (1924), 11–90. A. R. Davis, “Samuel Holland and John Collins, pioneer Canadian surveyors,” Assoc. of Ont. Land Surveyors, Annual report (Toronto), 45 (1930), 185–90. “Hon. John Collins, deputy surveyor general,” Assoc. of Ont. Land Surveyors, Annual report, 47 (1932), 105–10. 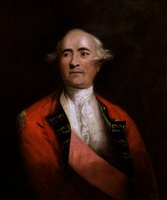 Robert J. Hayward, “COLLINS, JOHN (d. 1795),” in Dictionary of Canadian Biography, vol. 4, University of Toronto/Université Laval, 2003–, accessed April 22, 2019, http://www.biographi.ca/en/bio/collins_john_1795_4E.html.